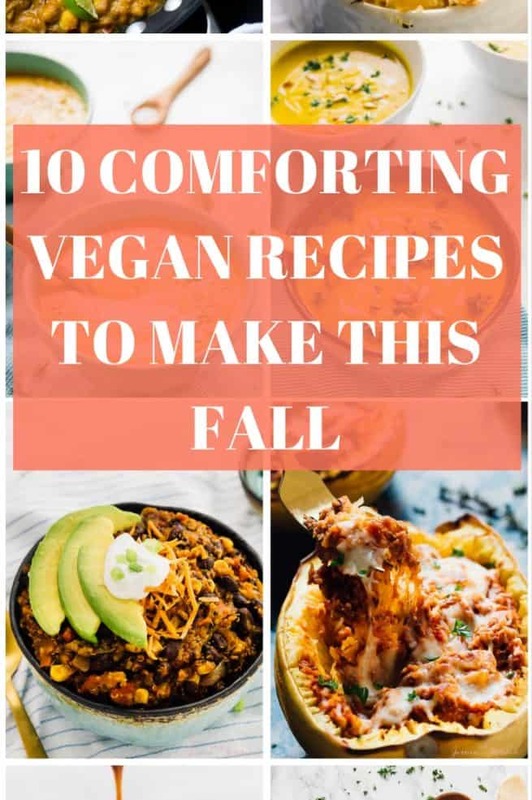 These are my top 10 choices for Filling Vegetarian & Vegan Main Dish Recipes! No, you won’t have to grab another meal within the hour, finally! Happy Stranger Things 2 Day! Can you tell I’ve been counting down?! Okay seriously though – this was a major requested roundup. One of the requests I get ALL the time is “Can you make some more main dish recipes please!”. 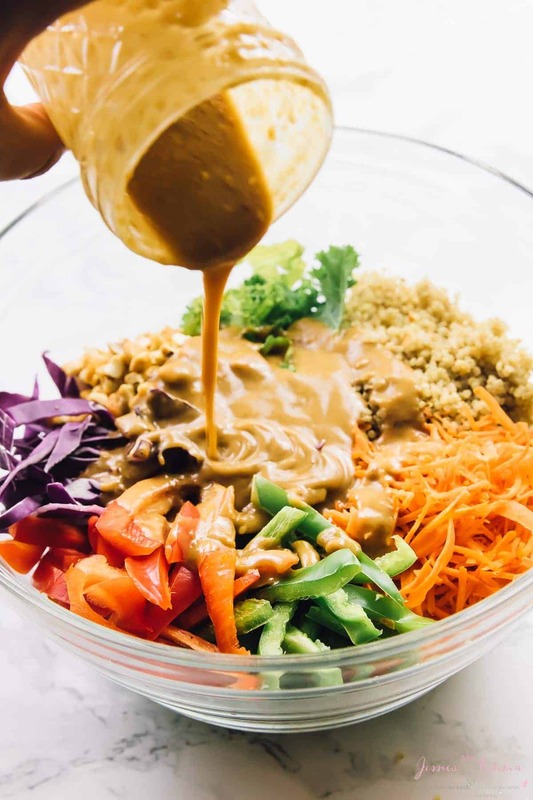 Sometimes as vegetarians and vegans we feel kind of stuck having dishes that are essentially side dishes in main dish portions. Boo, no one wants that. I’ve made a real effort to create real main dish recipes that are not only something you can have with something on the side, but that are filling! No, you won’t have to grab another meal within the hour. These are my 10 favourite main dish recipes on the blog right now. Okay seriously, is there anything better than a warm curry recipe?! 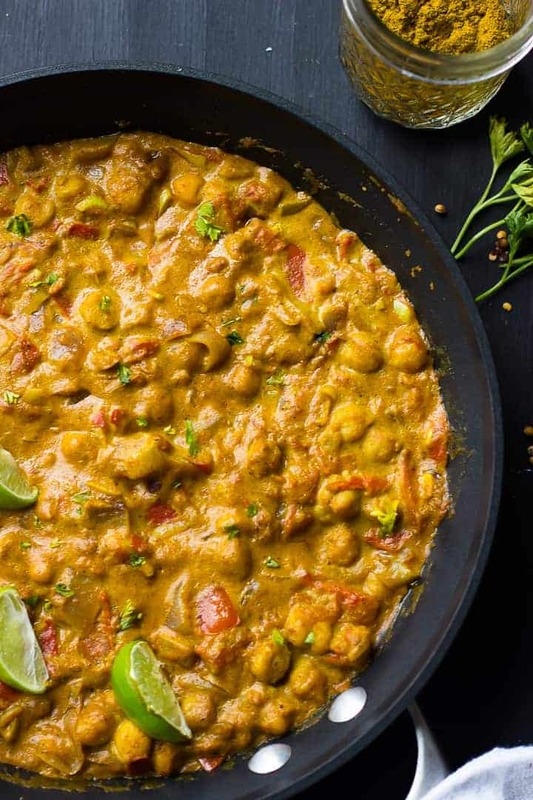 This chickpea curry is loaded with protein, yummy flavours and is such a quick and easy dinner dish. I love to pair it with naan bread or basmati or forbidden rice. 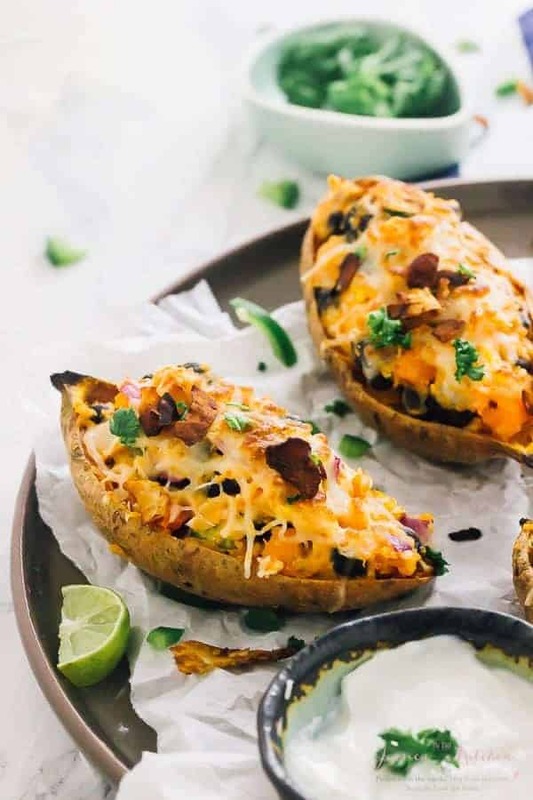 Thanks to the literally “loaded” part of these Potato Skins, they fill you right up! They are an unexpected main dish recipe. I usually enjoy these by themselves since they are everything in your meal right in a convenient loaded crispy potato skins. This salad is ridiculous!! Not only does it make incredible leftovers, it is so easy to put together and works for pretty much every single lunch or dinner main dish. Guarantee you’ll enjoy this one! This definitely breaks the stereotype that salads aren’t filling! 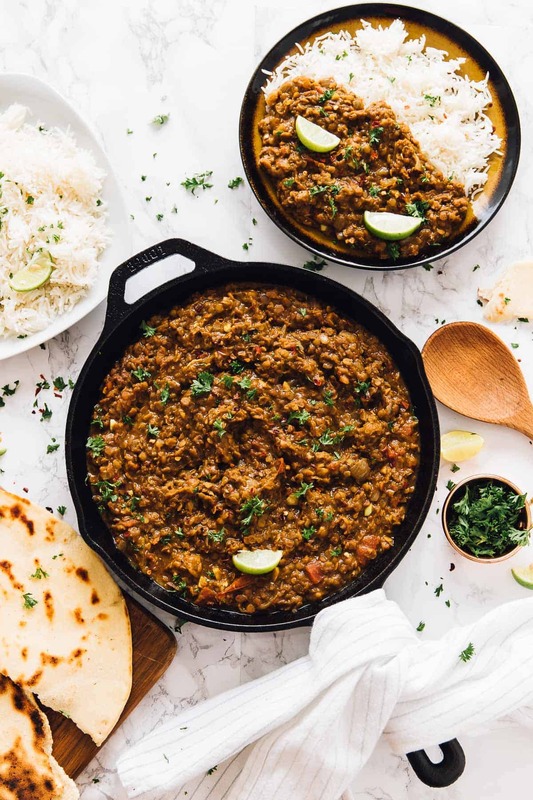 This Red Lentil Curry is a super top notch dish! 🙌 It’s another one pot genius dish, and I love pairing this with some forbidden rice. 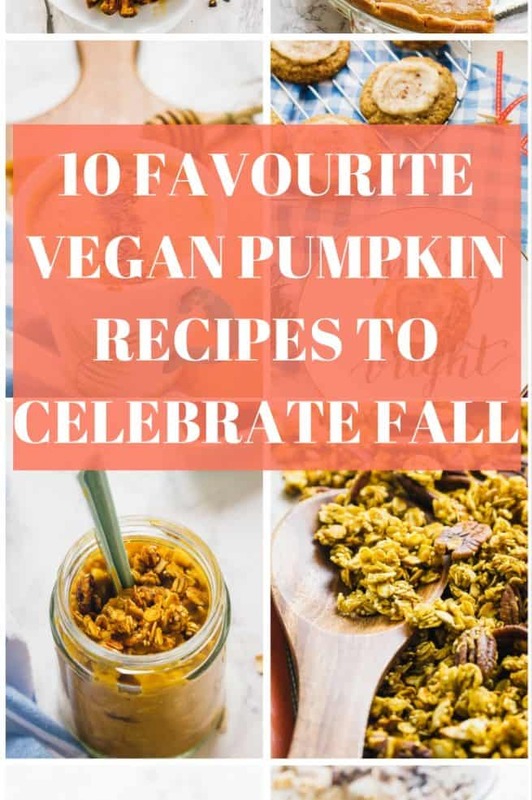 It is so good and probably the most filling of the whole list! I love salads, and sometimes they aren’t filling. 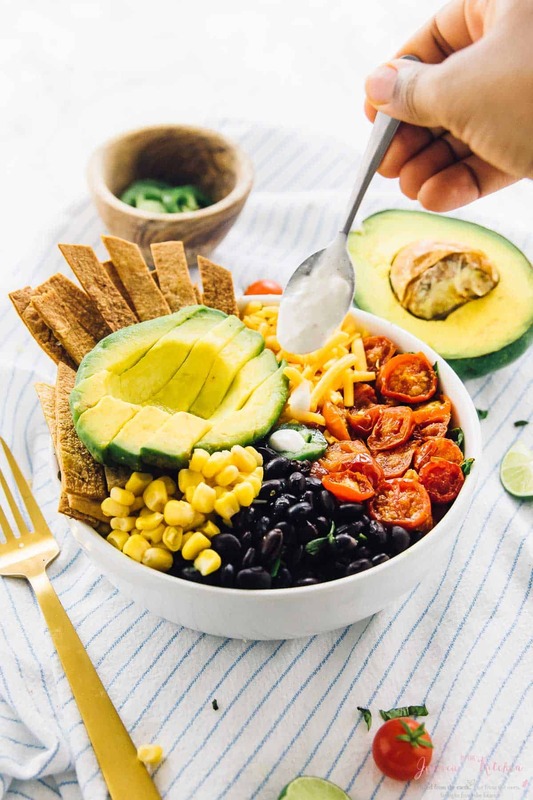 This one not only takes 15 minutes, it is so filling especially if you want to have it for lunch. 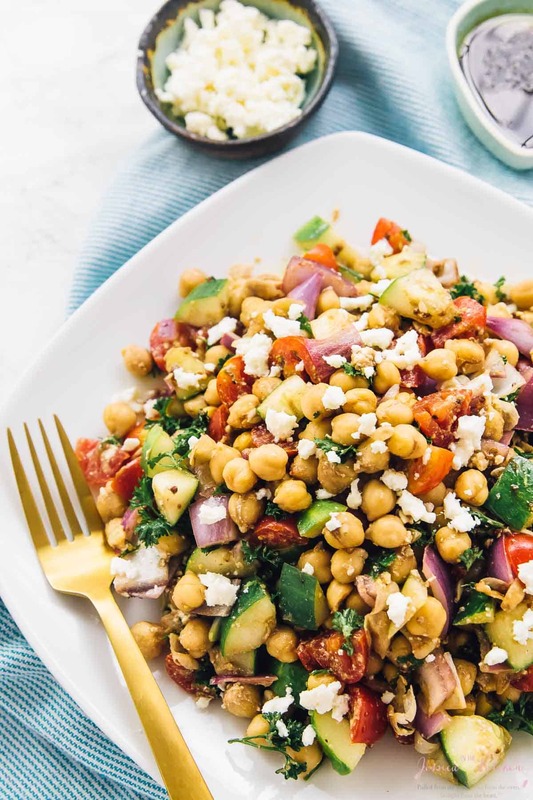 The chickpeas fill you up with lots of protein and you get lots of flavour from the other salad additions. 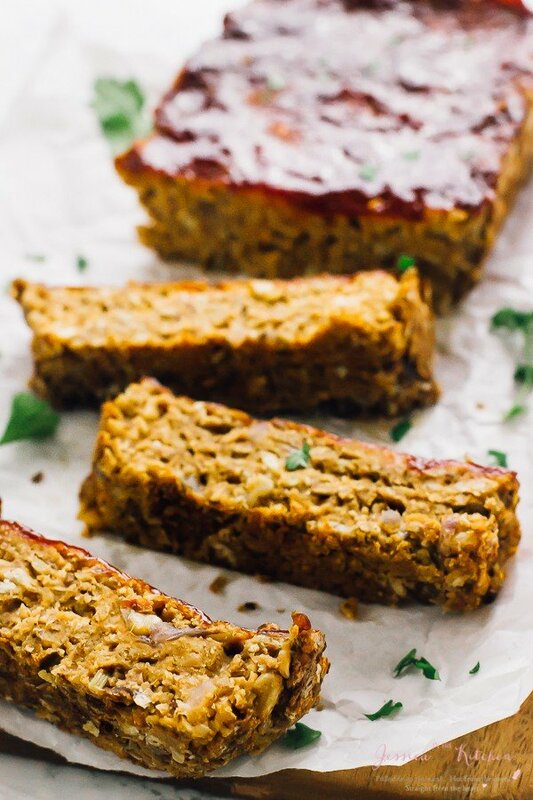 This Vegan Meatloaf is a great main dish especially for Thanksgiving!! I love it with some maple garlic roasted carrots on the side, mashed potatoes, green bean casserole – the WORKS. I also love it in a sandwich too, but this is a real deal main dish that feels like one too. This is another main dish salad that I love. I remember that it took me almost half of a movie to finish this whole dish because of loaded it was! I was filled for the rest of the night for sure. It’s SO good and so ridiculously easy to make!! 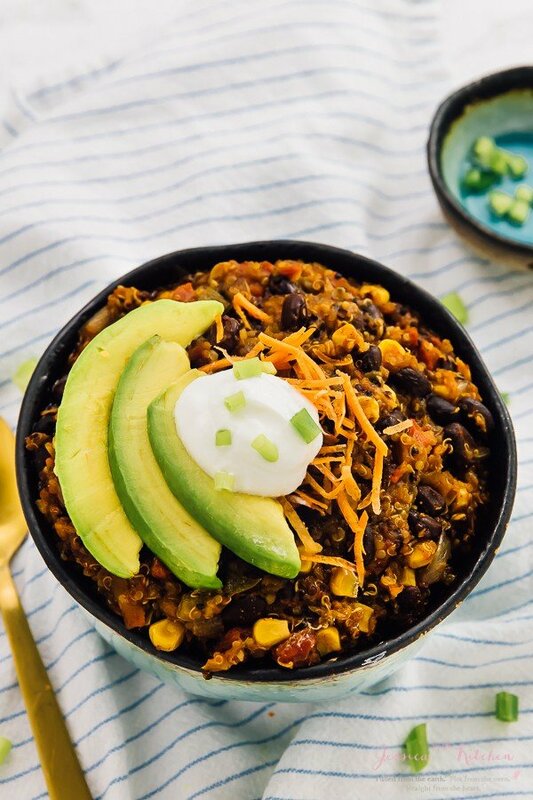 Chili is often so forgotten about but it is a BOMB main dish!! Whether you’re serving it as football parties or as a dinner on a cold night, it is not only comfortville, it’s so filling. I love this chilli SO much and highly recommend it! 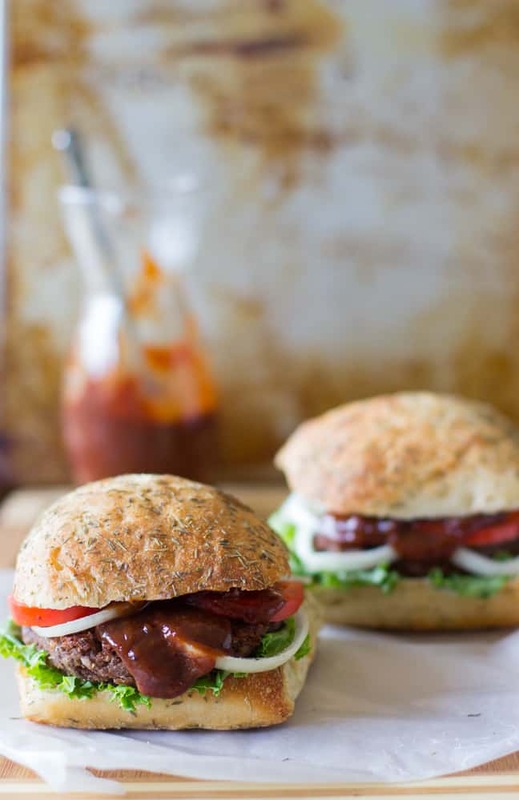 Who doesn’t love a great burger recipe?! This is my #1 burger recipe and thanks to the quinoa and black beans it packs a real punch. I love love love smothering my strawberry bbq sauce all over this! Traditional Shepherd’s Pie is served as a main dish, and there’s no reason that this version shouldn’t be too. 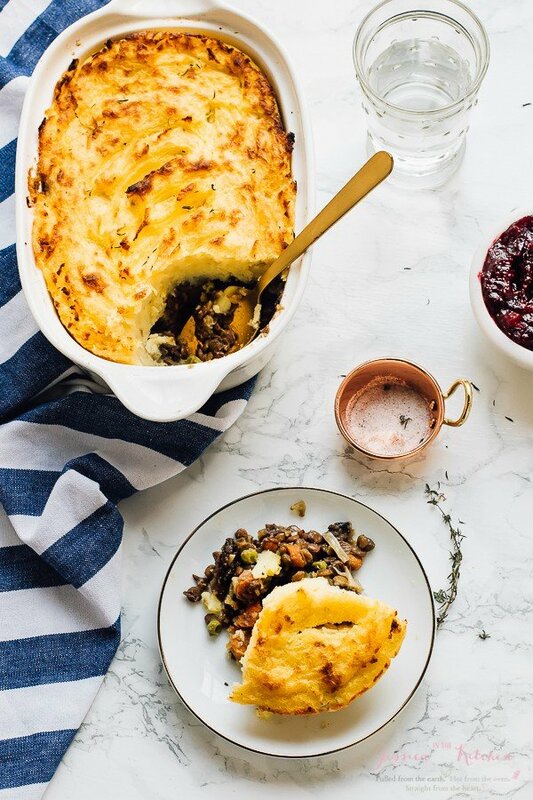 This Shepherd’s Pie dish is loaded lots of protein, a divine filling and of course that unmistakable topping. This is also a Thanksgiving favourite. 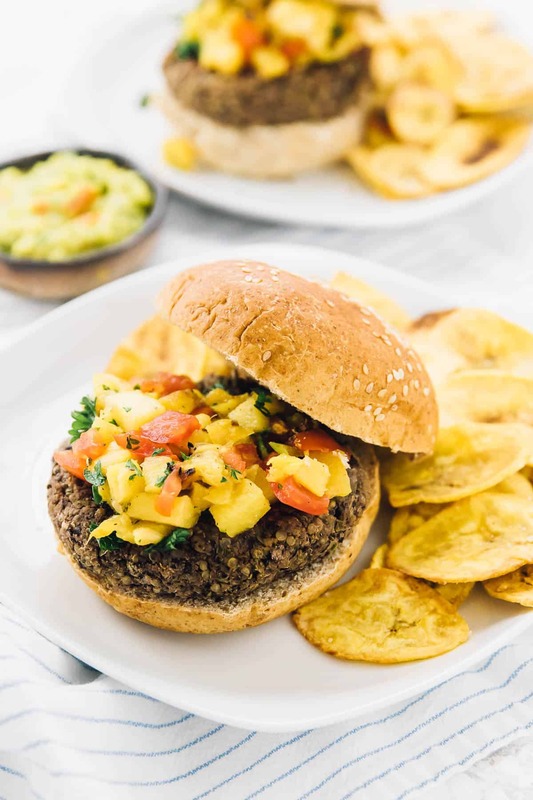 These Jamaican Jerk Burgers with Pineapple Salsa & Baked Crispy Plantain Chips found in my ebook! These burgers are an ode to my country, Jamaica! They are spicy, filled with deep flavour, and go beautifully with the pineapple salsa and homemade plantain chips! They are mega filling and so darn delicious. You can get the recipe here!